CHICAGO, June 16, 2016--SIGGRAPH 2016, the world's leading annual interdisciplinary educational experience showcasing the latest in computer graphics and interactive techniques, will be presenting "Making Of" Production Sessions for a number of high-profile hit motion pictures, video games, VR films, and theme park attractions during this year's conference. With the tagline "Render the Possibilities," SIGGRAPH 2016 will be held at the Anaheim Convention Center, 24-28 July 2016. The annual SIGGRAPH Production Sessions program presents the best and brightest visionaries in computer graphics and visual effects. Whether it's technical tips, a deeper understanding of the business, pure inspiration, or a glimpse of the vision behind some of the most amazing cutting-edge projects, the Production Session takeaways resonate for years to come. For a closer look at this year's upcoming Production Sessions visits2016.SIGGRAPH.org/Production-Sessions. Technical knowledge and inspiration aren't the only takeaways from the Production Sessions at SIGGRAPH. Studios often bring props and costumes from their projects for an up-close look at the detail and artistry that is involved in the making of visual effects magic. Additionally, there are frequently giveaways and goodies on hand, as well as time for attendees to secure autographs from industry notables and presenters. SIGGRAPH 2016 Production Sessions Chair Mikki Rose said, "Huge crowds gather every year for the Production Sessions at SIGGRAPH. One reason, of course, is that there's a chance to get a behind-the-scenes glimpse at the creative process that goes into some of the biggest, blockbuster films, as well as video games and other multimedia projects. But there's also the chance to speak artist-to-artist in a Q&A format, and geek out with friends and colleagues. The only thing cooler than watching special effects on screen is learning how they were created." Digital Domain worked on the three main aspects of "Deadpool": Colossus, Deadpool interacting with Colossus and the Helicarrier. 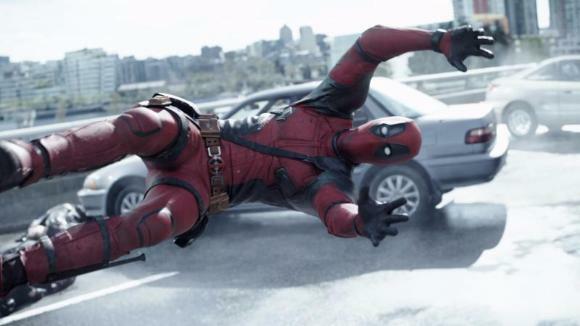 Blur Studio created the film's opening title sequence and provided previsualization for several action sequences. Panelists for this session include: Jan Phillip Cramer, Animation Director, and Scott Edelstein, CG Supervisor, Digital Domain, Inc.; Franck Balson, Previsualization Supervisor, and Sebastien "Zeb" Chort, CG Supervisor, Blur Studio. This session focuses on the development of a first-of-its-kind theme park attraction at California's Great America in Santa Clara. The experience features "holographic 3D," using the world's largest and highest resolution 3D LED screens combined with 4D effects. The partners behind this upcoming project are BioWare, Cedar Fair, 3D Live, and Halon Entertainment. Panelists for the session include: Robert deMontarnal, Business Development, BioWare; Christian Dieckmann, VP Strategic Growth, and Howard Newstate, Executive Producer, Media Networks Cedar Fair Entertainment Company; Clint Reagan, Previs Supervisor, Halon Entertainment LLC; and, Nathan Huber, Co-Founder and CEO, 3D Live. From Armadillo to Zebra: Creating the Diverse Characters and World of "Zootopia"
The world of "Zootopia" is a vast, multi-scale city where humans never existed and animals are evolved city-dwellers. Walt Disney Animation Studios pushed the artistic boundaries of this production to create vastly different environments filled with hundreds of unique characters. Session panelists are made up of Walt Disney Animation Studios experts Ernest Petti, Nicholas Burkard, Brian Leach, Sean Palmer, Michelle Robinson, and Hans-Joerg Keim. Industrial Light & Magic Presents the Visual Effects of "Star Wars: The Force Awakens"
The ILM team will discuss the range of challenges presented by bringing the latest installment of the storied "Star Wars" series to life. Panelists include ILM heavyweights like: Daniel Pearson, CG Supervisor; Patrick Tubach, VFX Supervisor; Paul Kavanagh, Animation Supervisor; and, Polly Ing, CG Supervisor. For this upcoming film (in theatres August 19), LAIKA launched an immensely powerful puppet - to scale. The result: a giant (18-foot) skeleton with a 24-foot wingspan, a massive undertaking involving the studio's interdependent and collaborative crew. A miniature version of the puppet (approx. 3-feet tall) will be on display during the conference. LAIKA panelists for this session include: Steve Emerson, VFX Supervisor, and Steve Switaj, Engineer, Camera and Motion Control. The Making of Marvel's "Captain America: Civil War"
Marvel Studios, Industrial Light & Magic (ILM), Rise FX, and Method Studios will show session attendees how they created some of this smash hit movie's most heart-stopping moments. They will also have the Captain America suit on display during the session. Panelists include: Victoria Alonso, EVP, Physical Production, Marvel Studios; Dan Deleeuw, VFX Supervisor, Marvel Studios; Jen Underdahl, VFX Producer, Marvel Studios; Russell Earl, VFX Supervisor, ILM; and, Greg Steele, VFX Supervisor, Method Studios. 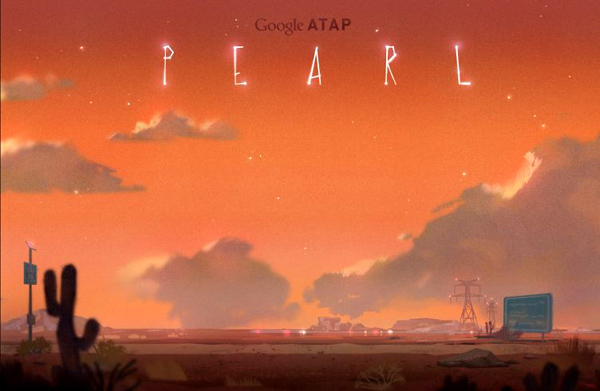 "Pearl" is a Google Spotlight Story directed by Oscar-winning animator Patrick Osborne. Conceived as a 360-degree experience, the film takes place entirely in a car and explores the gifts we inherit from our parents. The storyline collapses decades into minutes through montage, and can run on devices ranging from mobile phones to VR headgear, in real time. Google's panelists for the section include: Patrick Osborne, Director; Rachid El Guerrab, Spotlight Stories Project Lead; David Eisenmann, Producer; and, Cassidy Curtis, Tech Art Lead. "Star Wars: Battlefront" - Game Development in the "Star Wars" Universe! The DICE team reveals some of the work that went into this award-winning, visually stunning game. Topics include PBR, photogrammetry, vertex shading, fragment shading, and other creative disciplines. Panelists will include the following Electronic Arts Digital Illusions Creative Entertainment AB professionals: Kenneth Brown, Technical Art Director; Jonas Andersson, Visual Effects Artist; Pontus Ryman, Senior Environment Artist; Anders Egleus, Senior Visual Effects Artist; and, Oscar CarlÃ©n, Senior Lighting Artist. Under the Sea - The Making of "Finding Dory"
This session will take a look at how Pixar artists created the studio's latest feature film. Top animators and technical artists will deliver a deep dive into the process behind this animated film, which required an entirely new back-end pipeline and cutting-edge technology. This Pixar Animations Studios session will feature the following panelists: Steve Pilcher, Jeremie Talbot, Jim Brown, Masah Ellsworth, Chris Burrows, Chris Chapman, Ian Megibben, and John Halstead. Register now for SIGGRAPH 2016. To follow conference news on social media, check us out on Facebook, Twitter, Instagram,YouTube, Vine, Google+, Snapchat (user: SIGGRAPH), or the ACM SIGGRAPH blog.